Our SaaS model makes our electronic trading solutions easy and fast to install. For those who need it now rather than later. 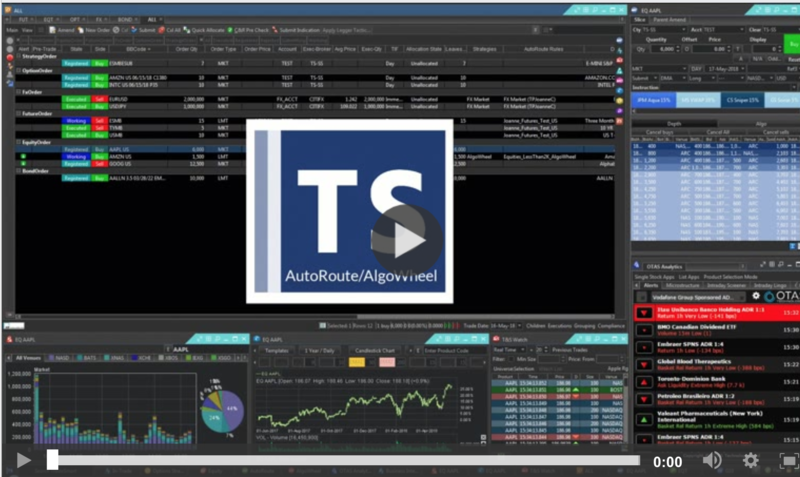 TS automates your workflow to ensure you have the knowledge and insight you need to be on top of today’s trading. Together, we’re Ultimate Trading Performance. 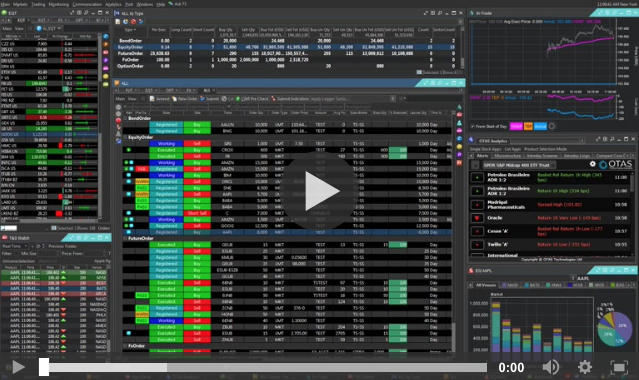 Automated Workflow Management that puts you on top of trading. It all starts with TradeSmart, our core OEMS technology platform that makes everything happen. It puts what you need on your screen, customized the way you need it. BidFX is an innovator in multi-asset FX trading and the market-leading provider of broker-neutral electronic trading solutions for the global FX marketplace. QUO is a cloud-based platform that allows investment managers to manage positions and the entire life cycle of trades in an integrated and compliant solution. Singapore Exchange (SGX), Asia’s most international multi-asset exchange and largest foreign exchange (FX) marketplace, has acquired a 20% stake in BidFX for a total cash consideration of US$25 million. This capital investment enables us to enhance our expertise and products to deliver comprehensive FX trading coverage to market participants in one workflow management system. For wealth and investment managers, adding value to clients is at the top of the agenda, ahead of complex and costly IT solutions. Until now, there have been limited options for firms who need a lighter touch OEMS that is easy to deploy and will simplify investment management processes, from start of day file upload to order execution. The new partnership will give the buy-side access to the largest block provider of liquidity in the U.S. and Cboe LIS’ growing liquidity pool in Europe. Market participants can now benefit from quicker execution and access to orders that will promote competition and remove past inefficiencies of trading blocks of shares. TradingScreen Inc. (TS), the all-asset class order and execution management system (OEMS), today announced that Agilon Capital (Agilon), a systematic hedge fund specializing in long/short corporate credit strategies, is now leveraging TradeSmart for FI as their OEMS. TS automates your workflow to ensure that you have the knowledge and insight you need to be on top of today's trading.